The Sham Sundar Shewa Mandli temple is located in Kumb, a town in Khairpur district of Sindh province. Taking strong exception to the desecration of a Hindu temple in Sindh, Pakistani Prime Minister Imran Khan ordered swift action against the perpetrators. 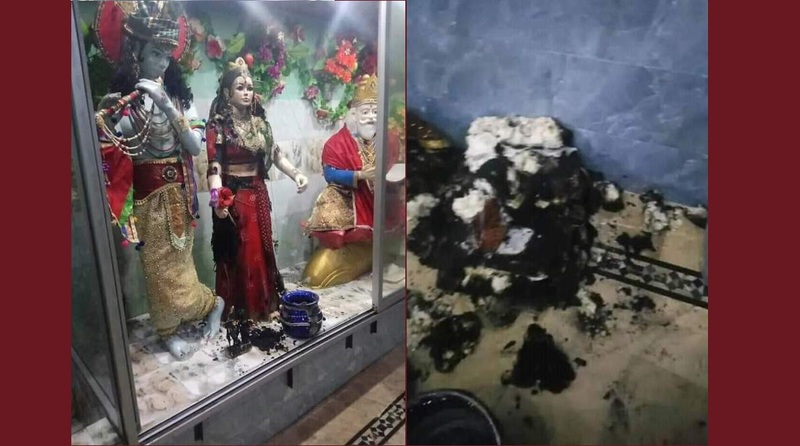 According to reports in Pakistani media, a temple dedicated to Lord Krishna was vandalised last week by unidentified assailants who not only damaged the idols but also set ablaze three Hindu holy books. In a tweet posted late on Tuesday, Khan said that the act was against the teachings of the Quran. “The govt of Sindh must take swift and decisive action against the perpetrators. This is against the teachings of the Quran,” Khan wrote. The Dawn reported that the local police are still trying to trace those involved in the attack. 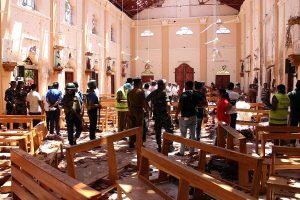 The attack on the temple was condemned by Hindus as well as local Muslims of Sindh, which is known for its exemplary communal harmony in a country where members of the minority community are targeted regularly. Dawn reported that MNA Ramesh Kumar, Special Adviser to Prime Minister Khan, went to Kumb on Tuesday with senior police officials to examine the damage. Sindh Governor Imran Ismail said that such incidents were part of a conspiracy to sabotage the prevalent interfaith harmony and religious concord in the province. This is not the first time that a Hindu temple has been targeted in Pakistan’s Sindh. In 2017, an FIR was filed against three persons in Gharo for desecrating the temple of Rama Pir and dumping the idols in the sewage lines. Hindus form almost two per cent of the 220 million population of Muslim-majority Pakistan and are often the target of extremists who wield considerable influence in the Islamic Republic. The Pakistani Government has been repeatedly slammed by rights groups for failing to protect minorities. In a report released last year, the United States Commission on International Religious Freedom (USCIRF) said that as many as 231 people were killed and 691 injured in attacks on minorities in Pakistan in 2017 alone. Pakistan’s constitution does not even recognise Ahmedis as Muslims, who, too, are often the target of hardliners in the country.